A group of Chinese volunteers has emerged from 110 days of isolation in a virtual "lunar lab", state media reported Tuesday, as the country pursues its ambition to put people on the moon. 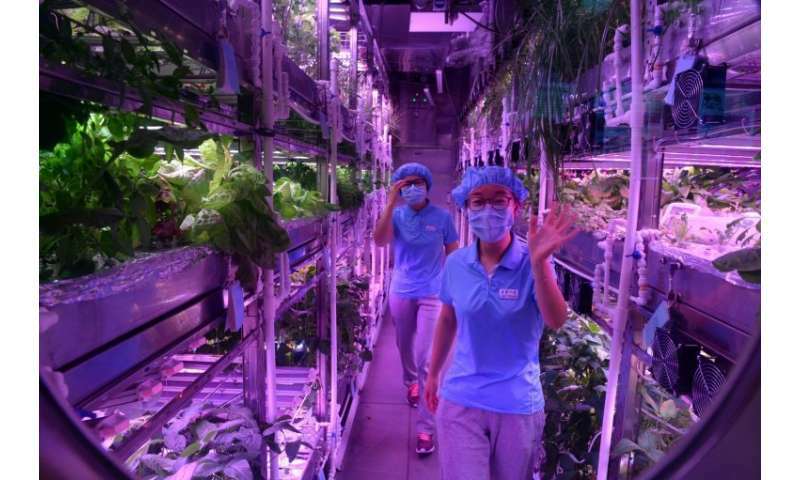 It was the group's second stay in the 160-square-metre (1,720-square-foot) "Yuegong-1"—Lunar Palace—on the campus of Beihang University, following a 60-day sojourn earlier. When the Chinese have conquered Africa and colonized the moon tunnels, America will be done for. OK, they have tested the lab. Now let's stuff some dudes and chicks into a rocket and put them on the moon! What are they waiting for? I doubt if the Chinese have any illusions about what a disaster 'conquering' Africa would be for their ambitions of bringing the other half of China into the modern age. As with everyone before them, the Chinese will take from Africa what resources they can access, then abandon it. Lots of precedence for that future. For those who do not get their international expertise from comicbooks. The big news is the development of the new Silk Road corridors as far as the Black Sea. And the Maritime Silk Road Route. Opening up access for China to all the resources of Tibet and Central Asia. That is not dominated by Russian or Western Powers extortion. The Moon is a sideshow. A trap for Human colonization that will end in misery. Automated facilities will have the advantage on that dead world. And only in support of orbital industries. There is no possible profit in shipping metals down to Earth. As for 'stuffing' a rocket full of people? Jamestown. Roanoke, Plymouth.